Autumn/Winter 2017 is a combination of reinvention and reflection. 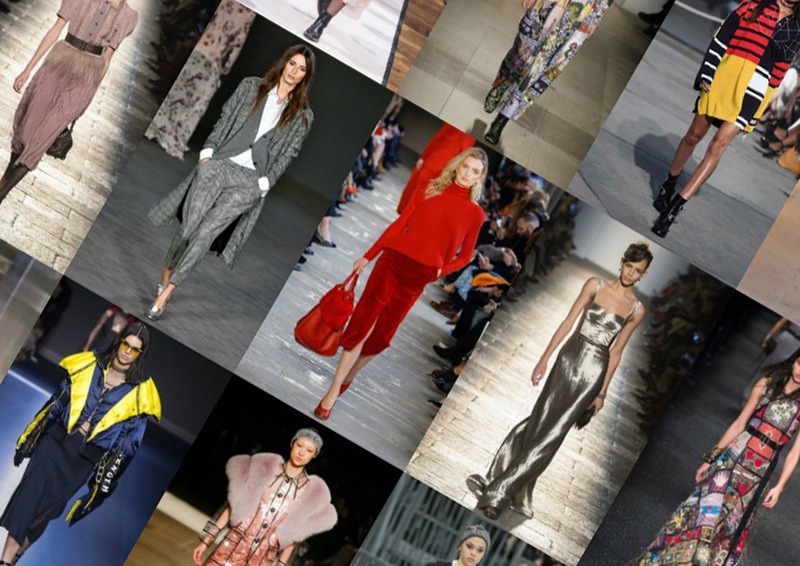 Much-loved established trends such as tonal dressing, feminine silhouettes and sportswear have been redesigned for the new season, while emerging trends like power dressing, OTT glamour and cultural-inspired designs mirror the world around us. Masculine tailoring, oversized silhouettes and 'Prince of Wales' checks dominated the Tibi and Daks runway, providing us with inspiration for both day and night. You don't have to be a C.E.O to wear this trend - it's designed for the women who want everyone to know their worth and influence. Style Tip: Mix and match the size of your checks. 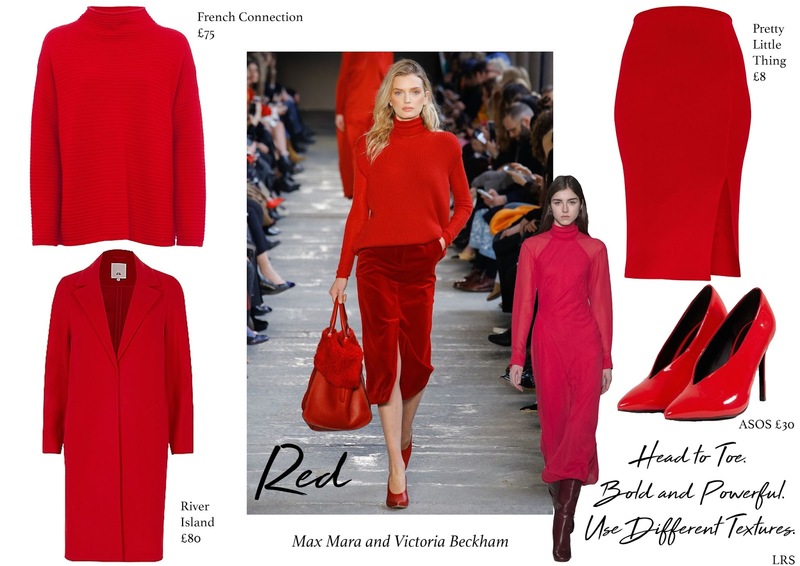 The fashion industry still has a thing for tonal dressing and for autumn/winter we move away from light pinks to bold reds. 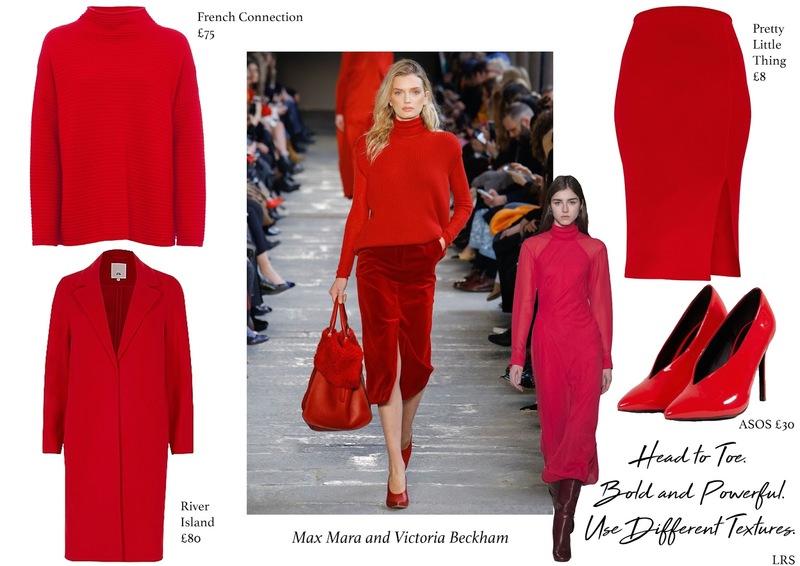 Max Mara and Victoria Beckham stay clear of any 'femme fatale' vibes by keeping it lady-like with midi skirts, oversized coats and heeled court shoes. Style Tip: Use different shades and textures to break it up. Nans rejoice! Their granddaughters are finally dressing like 'little ladies' thanks to Bottega Veneta and Lemarie. 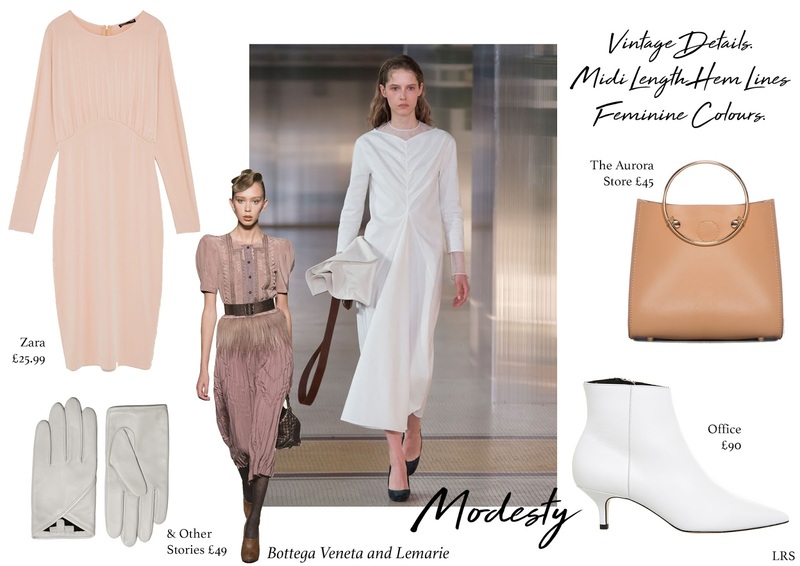 Due to the 1940s influence weaved into these collections modest sleeve lengths, soft colours and 'below-the-knee' hemlines are the key design details. Style Tip: Focus on the waist for an ultra-feminine look. 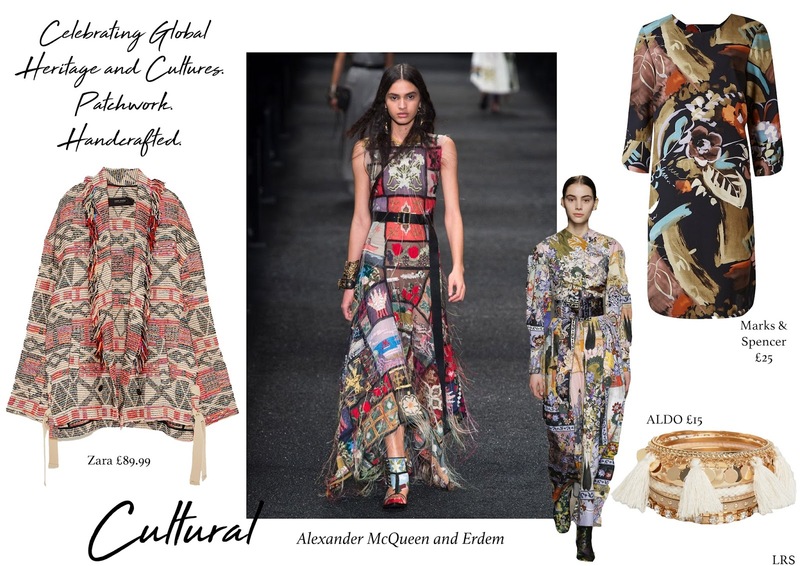 With the world's spotlight focused on the inclusion and respect of each other's culture and heritage, it's no surprise designers like Alexander McQueen and Erdem brought together patchwork tapestries and handpainted prints to showcase 'the coming together of different individuals'. Style Tip: Jewellery is a great way to interject this trend into your wardrobe. When the world around us becomes a little too depressing you can count on the fashion world to provide some much-needed glamour. Taking inspiration from Bottega Veneta and Miu Miu, the feel and look is all about combining elegance & decadence with a bit of sparkle. Style Tip: Go 'extra' with accessories and footwear. 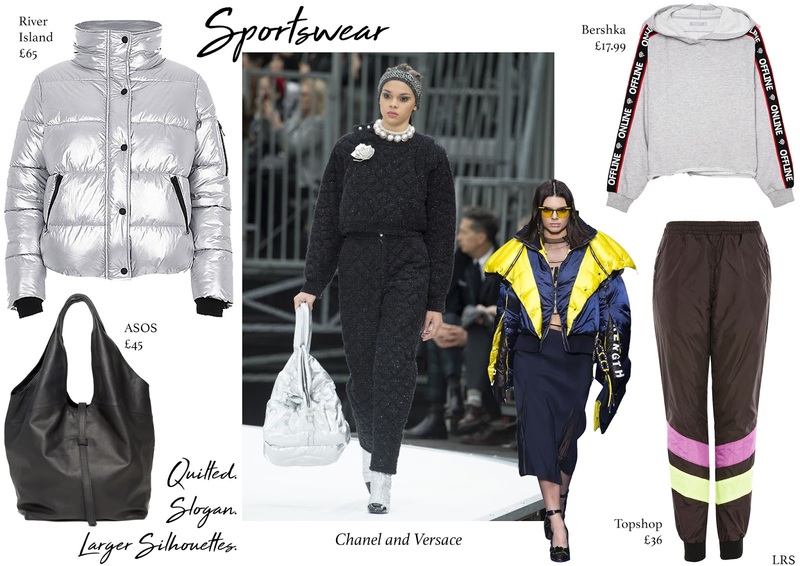 The ever-present Sportswear/Athleisurewear trend has grown in not only popularity, but also in silhouette size on the Chanel and Versace runway. Puffa jackets, slogan jumpers and 80s-inspired joggers projected the stronger and louder attitude of autumn/winter. Style Tip: Add a pair of strappy heels or sparkly ankle boots.